Winter is the season for celebrations of all kinds, and one of the most fun events is a winter formal that gives you the chance to get all dressed up and have a good time with friends in a spectacular setting. For this kind of event, the school gym won’t do at all! Lucky for you, we’ve got four incredible venues that are all ready for the party of the season. The Brandview Ballroom is a banquet hall in Glendale CA, that has room for up to 550 teens with room to spare for mixing and mingling. Part of the classic, nearly hundred-year old Huntley-Evans building, the completely renovated ballroom has every modern convenience, but still has all the wonderful art deco details that defined the swankiness of the 1920s. All the students at your dance know this is a glamorous event when they enter via a stunning gold-leafed spiral staircase under a two-story crystal chandelier. Enjoy the evening in the ballroom surrounded by elegant Italian onyx chandeliers, and draped windows that stretch floor to ceiling. You can customize the Brandview completely by arranging the dance floor and seating to suit the design scheme you have in mind, and you can also set apart some of the space as a cozy lounge for conversation. Dancers can refresh themselves at the stunning bar with signature mock-tails created with flair by our inventive bartenders, and can get some fresh air under the stars on the outdoor Brandview Patio, which you can include for your big night. 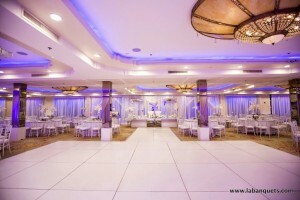 The Le Foyer Ballroom in North Hollywood will lend your formal the aura of the golden age of Hollywood. Up to 550 teens can party the night away in this glamorous setting that features a fabulous 25-foot fountain and a foyer of imported Italian marble. A brilliant chandelier highlights the ballroom’s 16 arches and flawless architectural details, and you can arrange the room and tables in a variety of ways to match the vision you have in mind. During the evening, our state-of-the-art lighting options can reflect the mood of the music, from soft and dreamy to a lively, club-inspired dance fest. Tired partyers in need of a break can sneak out onto the patio for a breather before heading back inside for more fun. 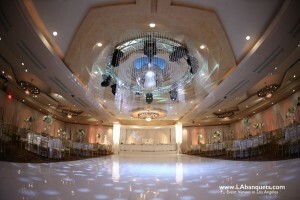 The Glenoaks Ballroom in Glendale CA takes elegance to the limit, with its breathtaking 60-foot chandelier reflecting in mirrored walls and shedding a glow on imported marble and other exquisite details. A red-carpeted entry sets the mood for up to 450 guests to enjoy a night of dining and dancing. Princess and other royalty at the head of the room in front of a backdrop encrusted with crystals. There’s also a large stage to accommodate your band and any other entertainment. We’ve got you covered with large dance floors, full audiovisual capabilities, Wi-Fi, and innovative lighting you can program to suit the mood as your party progresses. Each of the locations also offers safe and convenient valet parking. You can also coordinate food for you even with Anoush. 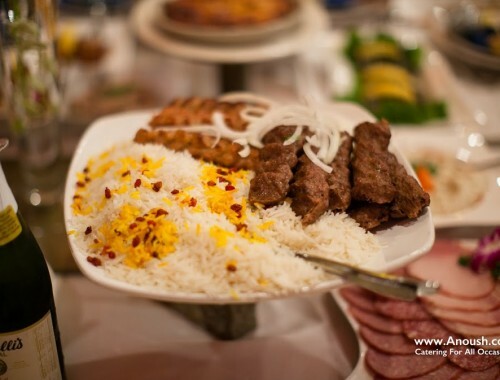 We offer catering service in Glendale CA at all of these impressive venues. Our master chefs are specialists in creating delicious treats, using only the finest and freshest ingredients, and vegetarian and vegan requests are no problem at all. You can select from a wide variety of buffet stations, or serve dinner either plated or in the friendly family-style we’re famous for. Anoush bartenders will add special flair with signature mock-tails. 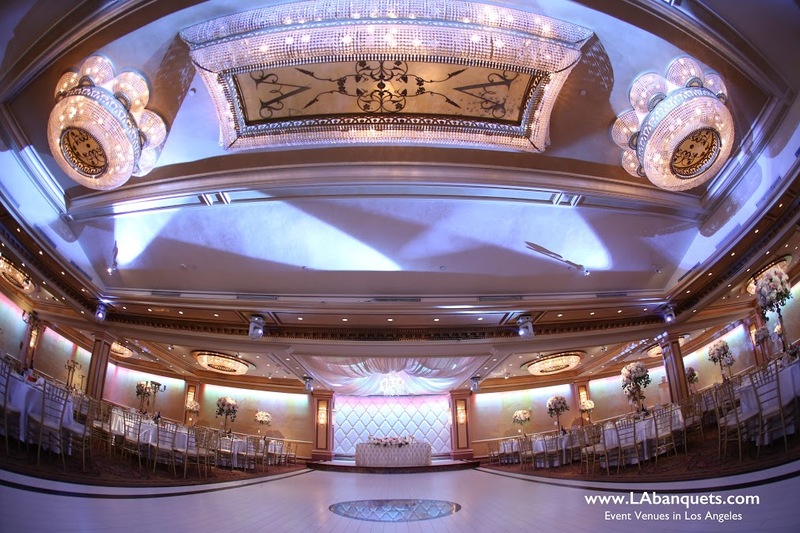 And whichever ballroom you select, a helpful and creative L.A. Banquets event planner will work with you and make sure your formal is everything you want it to be. Now is the time to book one of our ballrooms for your winter formal or your spring 2016 prom! What Is Umami All About?